Very nice.. that's looking better I think. You inspired me to try something out. I've got some clear PLA so quickly designed up a diffuser, 20% infill 3mm thick, will see how it goes. Will let you know how it goes in the morning. Interested to see how this goes. I know the “clear” top doesn’t help. Not sure how much light will pass through the filament but def worth a try. I am also interested to see how it goes. I actually have a spool of clear sitting here as I was going to try the same thing. 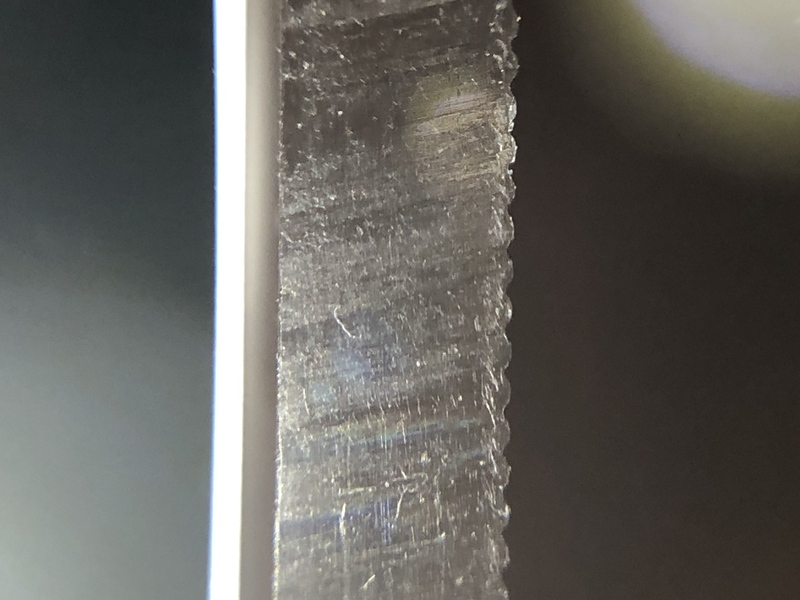 Most of the settings I see for printing clear objects use 100% infill, so I am interested to see how 20% work and if it helps with diffusion. The print time on a 100% infill was over 10 hours which caused me to hesitate trying it. I also modified the tile bottom to have a flat bottom that is at exactly the height of the leds on my strip. This should make aligning the panel with the led easier and guarantee that as much light as possible from the led is being directed into the panel. Unfortunately I have run out of white but I am going to print one out using a random color to test the dimensions. It should work as long as your strip is close to the dimensions of mine (5mm led - 2.5mm above & below). The overall tile height is actually 2.5mm taller than the v2 tile, this is where I made a mistake with the first version. Note: Fixed the issue with the first version. Updated the attachment with the changes. I have printed a cover in hatchbox clear pla. It looks okish. Kinda like those replacement cellphone cases from the 00's. 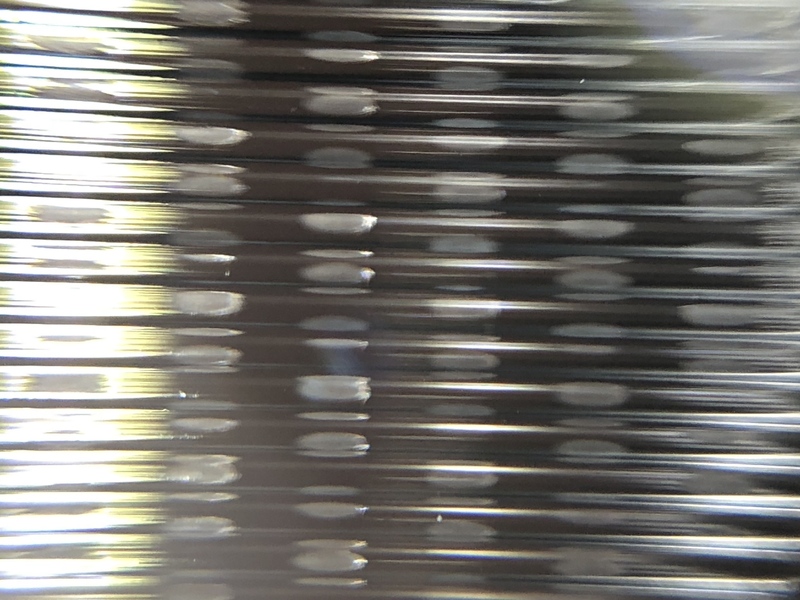 With a top and bottom thickness of 0.8mm you will have no infill in the main 'lens' part of the cover. Unfortunately I didsome destructive testing and can't take a picture of the final product. I also printed a top in clear PETg, but as you indicated the results aren't very good. The standard while PLA is way better, it goves off more of a glow. I ran a few test prints with some clear PLA, so far the results are not that good. I think it will be very difficult to print anything remotely clear enough to work for the light guide panel. I am going to try sourcing a thicker piece of acrylic and try a few different patterns to see what kind of effect I can get. Also, if you grabbed the STL I posted earlier, you will want to download the new version. There was a issue with the pocket for the leds not being deep enough, I have corrected the issue. Hey, all! I did a build of 5 panels so far. Has anyone considered reflective mylar film for the bottom panel, maybe in the middle quadrant? I've made some progress on designing a laser engrave-able light guide panel for the Moodlite, but unfortunately the Epilog Fusion M2 at work is in need of some TLC so I'm not sure when I'll be able to test the design out IRL. I'm going to try straight etching this pattern, then a second with a circular gradient "3D etching" mask to achieve deeper dots in the centre of the panel (the theory being that deeper holes will capture and scatter more light, helping compensate more for the light drop-off in the furthest areas from the LEDs). I may have to iterate on the overall density, density distribution/gradient, and dot size before getting an even illumination across the panel. With the laser settings dialled in correctly, the edges should come out nicely "flame polished" so insertion loss is minimised. Another thing I'm curious about testing is seeing if coating the back and long sides of the light guide with mirror reflector paint (www.amazon.co.uk/Rust-Oleum-AE0484150UK-Spray-Paint-Silver/dp/B01HQ9T4C2/) increases the useful light emission. It could end up being a mess, in which case I'll fall back on using a thin piece of styrene or white gloss card to act as the backing reflector. @AgileNebula - if you end up getting some more acrylic before I get a chance to test my pattern, I'd love to see what a circular sanding pattern that mimics this density gradient would look like. If it ends up being acceptable, it'd probably be a much more accessible solution for folks if they haven't got a laser engraver within reach. Perhaps it's a stupid idea, but has anybody took a look at One Way Mirror Film / Foil on a transparent top cover?? This could lead to a higher reflextion rate in darker spots (YT ment I should take a look at infinity mirrors, that's where this idea come from). EDIT: If I think about it... perhaps it leads to the complete opposite of what you're trying to achive. It's diffucult. 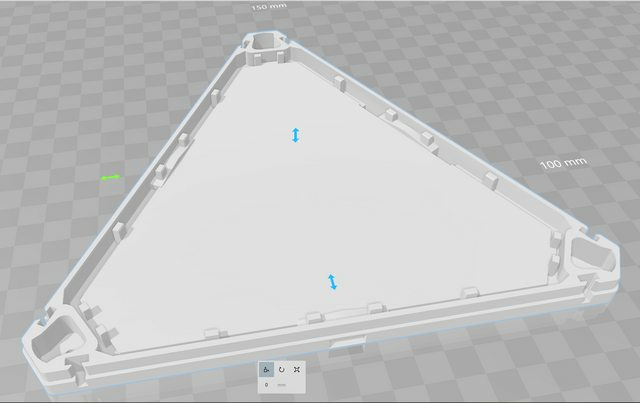 What is so different in the moodlite design when looking at the nanoleaf setup? They use a flat bottom pannel just like us. The only thing is that they use three layers on top. They use a professionally engineered and manufactured light guide panel and rear reflector arrangement. This is a pretty standard design for LED lighting panels and usually they are custom designed for the application. My guess is this a prism panel with multilayered sub-surface laser engraved dots - far beyond our ability to print or fabricate with DIY tools I think. It did cross my mind that you can get these ceiling panels pretty cheap and you could possibly cut out quite a few moodlite panels from the LGP/reflector/diffuser layers. The cost would start seriously creeping up though. What if we made the design smaller so that the light beams cross? Could that be a simpler solution? Or perhaps create a square version? I'm going to try to make a sample on my laser. The LED strips we use are soo much taller than the nanoleafs 3mm.. Awesome photos, that really helps! The density-concentration approach I took is to mimick designs for LGPs I've found when researching how they are usually made, but I hadn't seen the Nanoleaf one up close until you posted it. Perhaps we don't need to compensate for the drop off so much if we're lighting it from 3 different angles at once.